A festival parade, Shinko-sai, of Hie shrine had been just passed near my office at the Friday afternoon of June 10th, and I was lucky to take some photos of the parade. 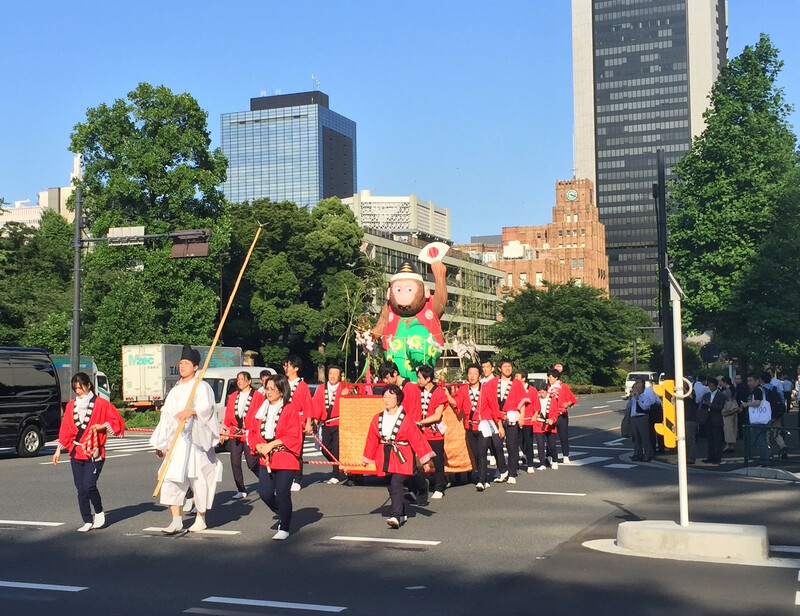 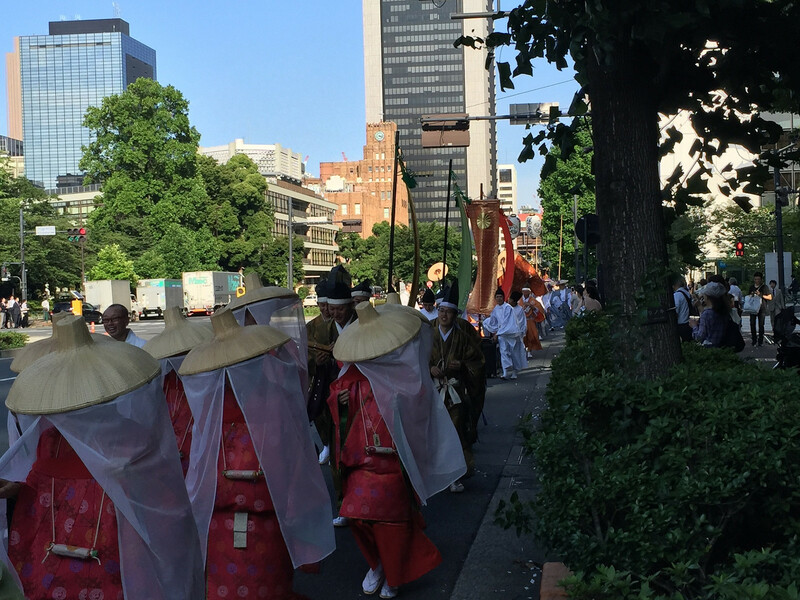 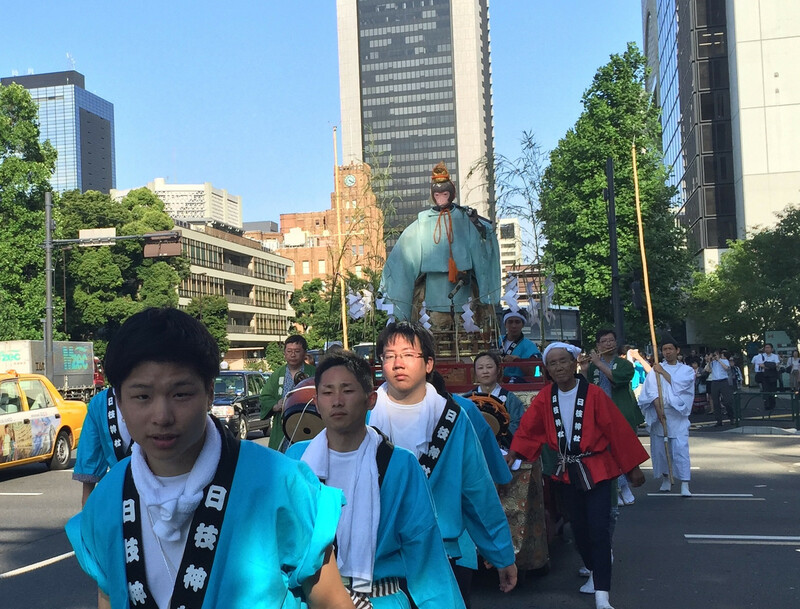 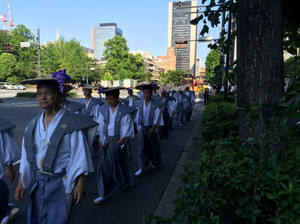 The festival has more than 400 year history and shrine parishioners joined the parade wearing Japanese traditional clothes. 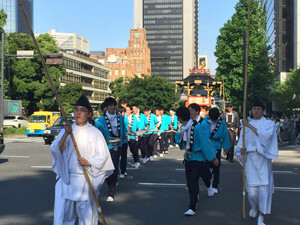 They paraded by pulling some floats and portable shrines around the imperial palace, used be the Edo castle, all day long. The parade has long and admirable history that it had been allowed to go into the Edo castle and shogun general made worship on this parade. 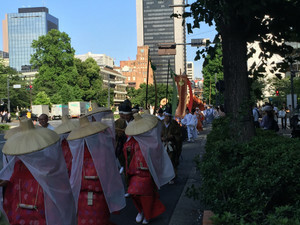 The parade of more than 500 participants with traditional costumes gave me different impression of familiar road side scene. On the floats, animal of the year of Chinese calendar and a monkey, which has special relation eith this shrine, there were two monkeys on the floats, since this year is “year of monkey”. 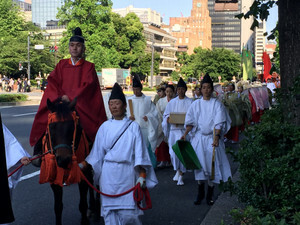 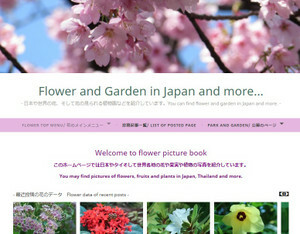 You can find more details on Hie shrine from here.